A year after Fay and her husband, Russ, purchased their 10’ by 12’ Modern-Shed, the couple is happily pleased with how much the shed has exceeded their expectations. Fay initially wanted a Modern-Shed because she needed room for her craft projects — the couple lives in a two-bedroom, 1,000-square-foot home, so they’re accustomed to living in small spaces. However, Fay has found numerous uses for her Modern-Shed. Fay is working on becoming a Master Gardener through the University of California extension office, so she spends copious amounts of time studying. The program requires more than 50 hours of training with UC specialists and professionals in the nursery and landscape industries. 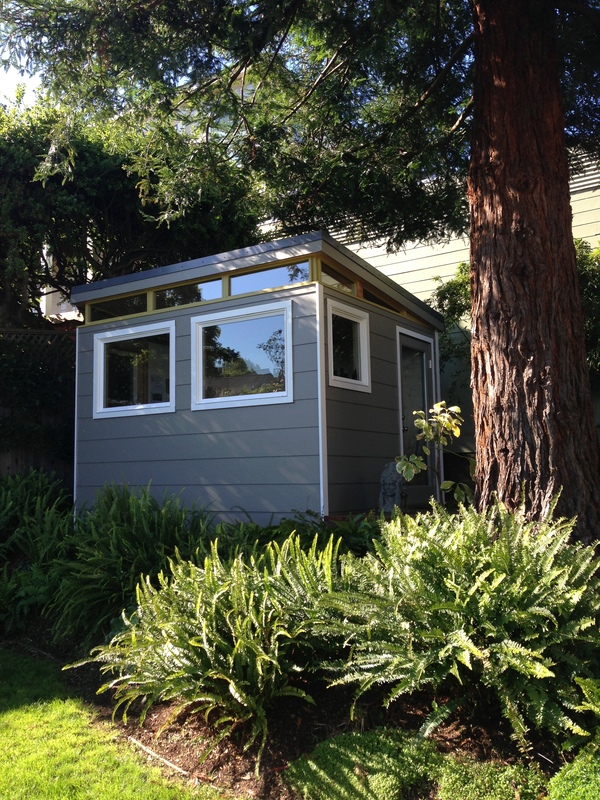 Fay purchased her Modern-Shed a year ago. The shed has exceeded her expectations. The couple also plans to remodel their home this year and are working with an architect to do so. The Modern-Shed gives them the room to look at large, bulky architect drawings, Fay says. As an “ambassador” for Modern-Shed, Fay shows off her shed to prospective Modern-Shed customers if they’re in the area. 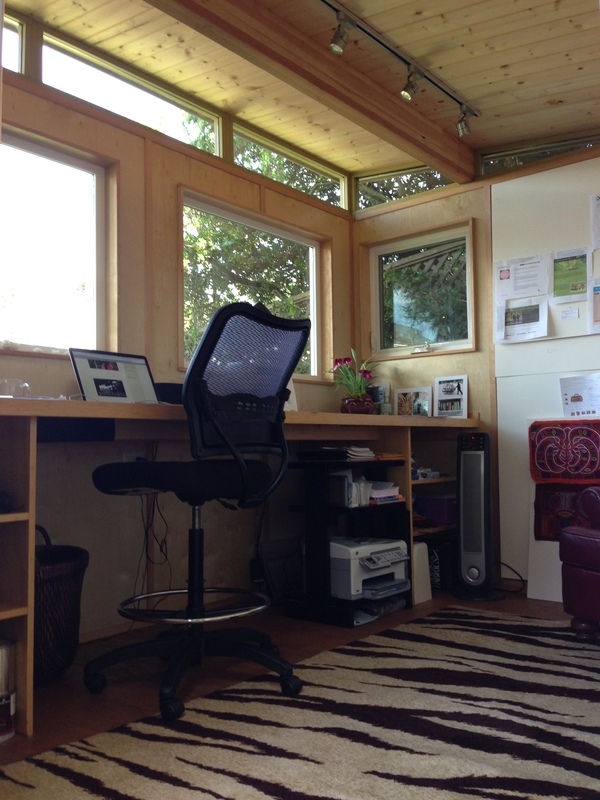 Fay uses her Modern-Shed for a variety of uses. The quality of the Modern-Shed has also held up well in the past year, Fay adds. 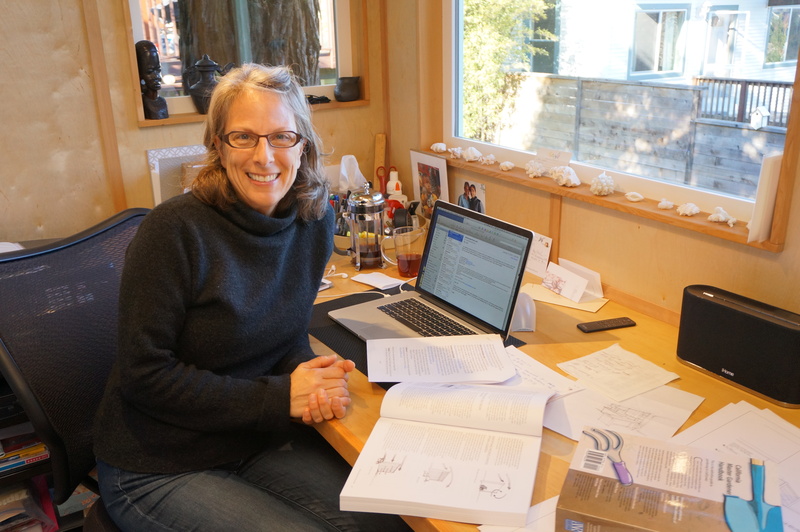 The couple has plans to build a larger deck surrounding the shed, which they call the “Fay Cave” — it also sits under a Redwood tree and has a view of Richardson Bay. Fay spends between three to five hours a day in her Modern-Shed and is out there at least every other day, except when she’s socializing during the holidays. Even though she and her husband are planning a remodel, she doesn’t expect the functionality of her Modern-Shed to change. The Fay Cave feels like an extension of the home rather than a separate entity, she adds. 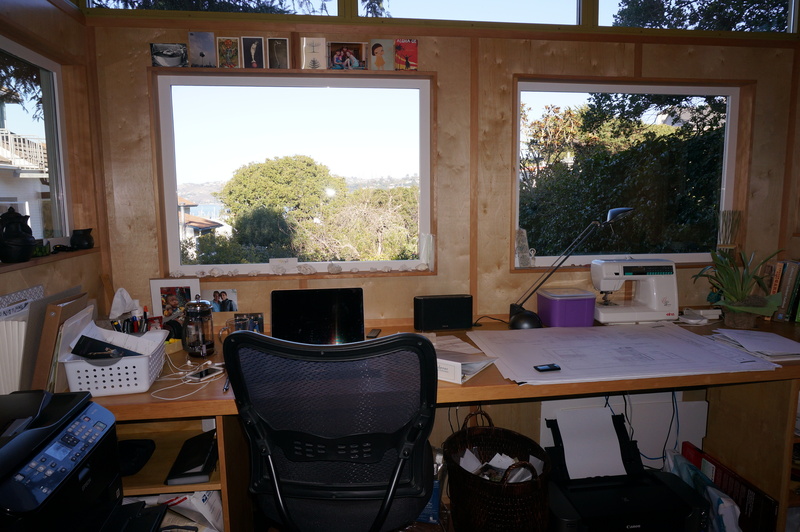 Fay Mark’s Modern-Shed has a view of Richardson Bay in California.